Are you looking for a fun and effective way to train your dog? Take advantage of our 20+ years of experience training dogs and enroll your dog into one of our online dog training courses. Dogs and puppies of all ages, breeds and temperaments. In fact, our dog training methodology is based on science and works with all dogs. Dog owners from all walks of life. So, whether you have little time to train your dog, our training courses are designed to be short and take just a few minutes a day. ...And for anyone who wants to train their dog without physical punishments and corrections. We use positive reinforcements as a way to communicate what we want the dog to do. Click here to enroll in this course now. Inside this course, you will learn how to train a dog to walk nicely next to you without pulling or yanking on the leash. The concept of this course, and what makes it different from everything else out there, is the emphasis on building your dog's five core walking skills. This course is perfect if you're looking for a way to get your dog to stop pulling on the leash but don't want to resort to inflicting physical punishments on your dog, such as using a prong or choke collar. Have you ever wondered how movie or service dogs are trained? Or how about those amazing dogs you see on YouTube doing incredible tricks? Or any other behavior your heart desires. The sky is truly the limit as to what you can teach your dog to do. This course is perfect for beginners who are just starting out on their training journey, and it is also suitable to experienced trainers who are looking to refine their approach. Wondering if our training methods really work? ​​Click here to see what our students say about us! 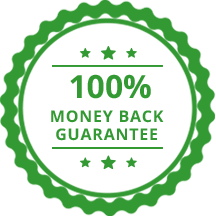 Try Risk-Free With Our 100% Money-Back Guarantee! Our online courses are guaranteed to work with your dog. If you are unsatisfied for ANY reason, simply let us know within 30-days of your enrollment and we will issue you a complete (and courteous) refund. No questions asked. ** Some of our other courses, such as our "Fido Come!" and "The Perfect Puppy" are not currently available for registrations.